Or Hadash is privileged to be the current occupant of Heberton House, aka, Fairwold. During the Revolutionary War, George Washington camped on three hills outside of Philadelphia in late 1777 before moving on to Valley Forge. The hills were sparsely vegetated at the time and one seemed ideal for a troop encampment. It became known as Camp Hill. 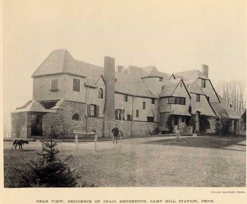 In the mid to late 1800s, Camp Hill became a popular place for affluent Philadelphians to build summer homes because of the view and distance from the smoke and dirt of the city. One such home was built for $20,000 in 1888 by Craig and Helen (nee Crothers) Heberton as the centerpiece of a 55-acre farm. Mr. Heberton was a stockbroker in Philadelphia. He may have been raising cattle there at the time. Records of the American Jersey Cattle Club show GLADYS listed to a C. Heberton in Ft. Washington. The building was designed by Wilson Eyre as a shingle style cottage in the New England style that was popular at the time. Shingle houses used large shingle covered gables extensively. 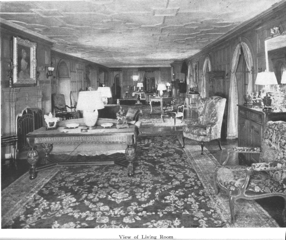 The interior was done in the style of the Arts & Crafts movement. Beginning in 1907, Mrs. Heberton hosted children from Philadelphia for a summer event on the grounds. In 1913, the Hebertons moved to Montecito, California, and built a mansion named El Hogar. They sold Fairwold to Richard M. Cadwalader, Jr. for $65,000. Mr. Cadwalader had recently wed Emily Roebling, whose grandfather designed the Brooklyn Bridge and started a steel company in Trenton. Mr. Cadwalader’s father, Richard M. Cadwalader, Sr., owned a house named Camp Hill Hall just up the hill. 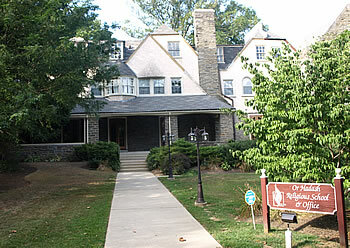 Camp Hill Hall is now the home of WEC, Worldwide Evangelization for Christ. During World War I, the Cadwaladers allowed the building to be used as a convalescent home for wounded soldiers. In 1916, Mr. Cadwalader hired DeArmond, Ashmead and Bickley Architects to face the shingled parts of the house with stone and to expand it into a Tudor-revival mansion. It is noteworthy that Mr. Cadwalader, Sr. commissioned Newport News Shipbuilding and Dry Dock Company to build a 104-foot yacht that he sold to his son in 1926. The yacht was named Savanarola. When he sold it to his son he replaced it with a new yacht named Sequoia. That yacht was sold to the US government, and presidents from Franklin Roosevelt to Ronald Reagan used the USS Sequoia. 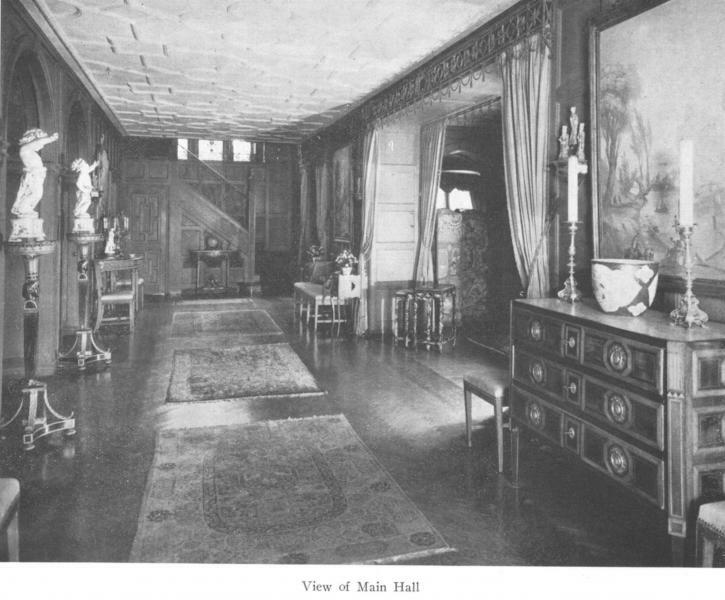 In 1922, Mr. Cadwalader again hired DeArmond, Ashmead and Bickley for the addition of a large music room/solarium complete with a built-in pipe organ and musician’s balcony. Estey Pipe Organs opus 2096 was commissioned in 1923. George B. Gay, the realtor for the Cadwaladers and for whom Gay Way is named, bought Fairwold after Emily died in 1942. He lived there a short time then sub-divided the building and donated half of it to the Oreland Baptist Church. 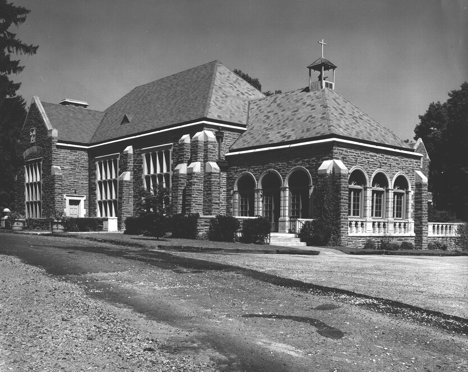 In 1949, the church added a raised platform in the ballroom to create a sanctuary and sub-divided the basement to create classrooms. 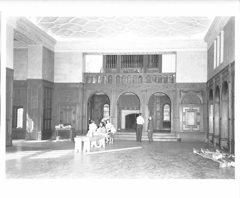 They also added walls to the arched entrances to the ballroom in order to seal it off when needed. Mr. Gay announced the gifting of the building at the first meeting of the Oreland Baptist Church in 1949. He stipulated in his will that the building could only be used for religious purposes. The Oreland Baptist Church disbanded in 1987 and the building was sold to New Life Presbyterian Church. Congregation Or Hadash purchased the building from New Life Presbyterian Church in 1995. The Congregation has made many improvements to the building, including a new roof, a remodeled office, and a new heating system. The addition of our Life Cycle Garden, new flooring on the patio, and paving of both terraces have provided us with a wonderful outdoor space that we use as often as possible. The emphasis on education and tradition radiate from every crevice in the building. The inherent strength of the stonework combined with the depth and richness of the woodwork have become synonymous with the inherent strength of our Jewish tradition and the depth and richness of our Congregation. In 1909, two influential, Delaware Valley families were united. Richard M. Cadwalader, of the large, socially prominent Philadelphia family, married Emily Roebling, granddaughter of John Augustus Roebling, designer and builder of the Brooklyn Bridge and scion of the Roebling business and banking family of Trenton, NJ. Emily and Richard purchased a weekend and summer home in Camp Hill, now Fort Washington, and named it Fairwold. Originally built by John R. Fell and his wife, Sarah Van Rensselaer, in 1888, the property seems to have consisted of two buildings, extensive gardens, and a 55-acre farm complex. The Cadwaladers connected the stone house to an adjacent smaller structure, making extensive additions to the right side. This explains the mansion’s conflicting architectural styles and the irregular plan of the building. 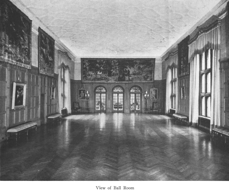 In 1923, the “music room” and “solarium” were added to the right side of the house and this new music room, much larger than the original ballroom on the other side of the building, was used for most of the family’s entertaining. They installed an Esley player organ with 20 ranks of pipes in the loft at the front of the room. Fairwold was one of a number of grand country estates in the Philadelphia suburbs. At the end of World War I, the Cadwaladers turned Fairwold over to the government for use by convalescing service men. They lived in their house on Delancey Street in Philadelphia, which had always been their primary residence. When Emily died in 1942, Richard sold Fairwold and returned to his family home in Blue Bell. He died in 1960 at the age of 82. George B. Gay, realtor for the Cadwaladers, bought Fairwold and lived there with his family for a number of years. When, in the 1940s, the cost of maintaining the mansion became too great, he split the building with a firewall and turned over more than half to the Oreland Baptist Church. His gift mandated that the building be forever used for worship purposes. He and his family continued living in the smaller section, until it was eventually sold to the Fort Washington Play and Learn Center. Or Hadash purchased its section of the building in 1995, in time for the congregation’s Bat Mitzvah year.